A detailed property survey is essential to find out important details about a house and the land it sits on. Many home buyers skip this in an effort to save money, but we feel the benefits and protection property surveys offer outweigh the cost. Home owners shouldn’t be fooled into thinking that a property survey isn’t vital. Building guarantees aren’t warranties and warranties only cover major and minor defects in the first two years. Regardless of how sure you are that everything will be fine with the property, a survey should always be conducted by a professional surveyor – not a lender. Property surveys will clearly show the boundaries of the property, the lot size and property description. If you’re thinking of buying a home or a plot of land, obtaining an up-to-date survey is essential. 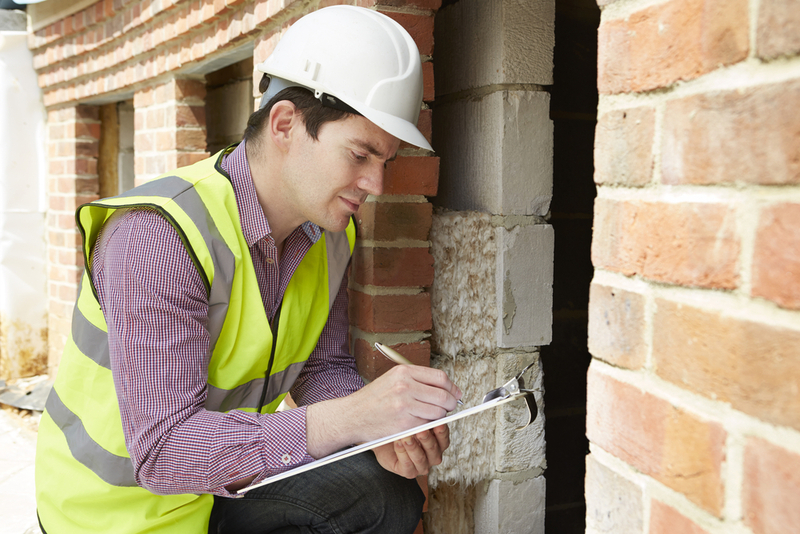 Here’s why every home buyer should protect their investment with a property survey. Buying property is a big financial move. You want reassurance that what is on the contract and title is actually the parcel you’ll be purchasing. Property surveying is a process in place to determine whether or not you’re getting what you’re paying for. The survey will ensure that the title you purchase is what you think, but it won’t mitigate risks associated with the condition of the house. Both the land and the property is assessed and mapped out to eliminate any problems or discrepancies. You’ll want to consider getting a property survey done if you’re buying a house, selling a house, building a fence or making any structural changes. A property owner must have accurate information about existing boundary lines and other demarcations of possession. This info is critical before you’re able to build a fence, add an extra room or pave your driveway. Assuming where boundary lines or property corners are can cause big problems between neighbours, especially if one party goes ahead with renovations or extensions. Most people are unaware of the location of their property lines. A detailed property survey will reveal if there’s any boundary line or property corner disputes. You’ll have access to the exact property dimensions from the survey which can determine if there are any issues effecting the boundary lines, like a driveway crossing over. Property surveys eliminate any issues with dividing fences and buildings. Ideally, a new fence between two properties should be located on the boundary line, enabling each party to own half of the fence and share maintenance and replacement costs equally. But this isn’t always the case. Boundary line disputes can lead to major issues with fences. A property survey will mark the boundary lines and ensure there’s no uncertainty of the fence location or who it belongs too. Zoning classification outlines whether the property is zoned for residential or light industrial use. Most owners will already be aware of their zoning classification, but you may not be aware of the restrictions in place. A certified survey details if there are any specific restrictions on how you can use the property and ensures it’s being used in accordance with the zoning ordinances. If you plan to subdivide the property in the future, you need to be aware of any regulations first. It’s common for owners to invest in a property that they later divide for family or to be sold for a profit. Countries and cities all have their own set of rules when it comes to restrictions on subdividing. Investing in a property survey will determine whether any of these regulations exist and have the potential to effect dividing plans. It’s easy enough to spot any above ground wiring at an inspection of the property yourself, but what about what’s happening underneath? Knowing what water, electricity, gas, telephone, drains, wires, cables etc. are under the property is important for a few reasons. Utility companies may need to use a proportion of your land for line upkeep and if this falls under your home, it’s their right to do so. It’s a smart idea to know the location of underground utilities before you begin any construction too. This section of a property survey determines whether there’s any legal rights for you or your neighbour to walk across each other’s properties to get to your own. Such conditions imposed by the law reflect on the title report but property surveys identify the rights. Easements aren’t usually shown on the deed. A property survey will show the easement on the survey map and whether your neighbour has the right to walk across your yard to the street. Encumbrances are also outlined on a property survey and will reveal any claims or liabilities that effects the title of the property. The biggest benefit of property surveys is protecting your investment. Without an extensive and qualified examination of your land and house, it’s very easy to run into costly issues and disputes down the track. The right property survey for your home offers a better understanding of the property before you commit to the purchase. For more tips on how to go about securing a property check out our advice for first home buyers and everything you need to know about conveyancing. My wife and I are getting ready to move into a new home, but we weren’t sure if we need a property survey or not. I like your point about how it can help with boundary disputes with neighbors. We do plan on building a fence and adding a garden, so we might need to do this so we can establish property lines. I am currently looking at buying a lot to build a home on. Everything seems to look good to me, but I like the idea of hiring a land surveyor just to take extra precaution. I like how you mentioned that doing this protects my investment and helps me gain a better understanding of the land. I will have to seek someone who can do a great job for me so I can have peace of mind before purchasing the land. This is some really good information about getting a property surveyed. It is good to know that the survey will help you know where the underground cables and pipes are? That does seem like a good thing for me to know since I want to buy a house soon. I’m looking to get a new house, and think that getting the land surveyed is a great idea. I liked how you said that getting it surveyed can help you to know whats underneath the house. I wouldn’t have even thought to look for that. The survey should hopefully help me avoid problems in the future.